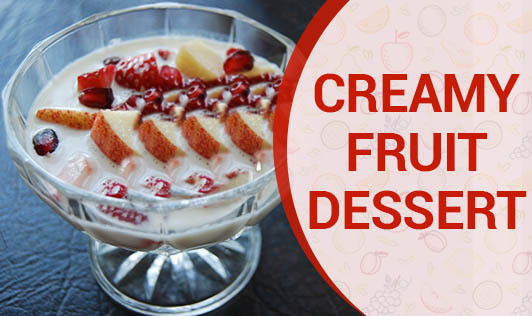 Fruits when combined with yogurt not only taste good, but this combination is very healthy too. The goodness of fruits and yogurt gives you vitamin, mineral and an antioxidant boost along with richness of calcium and proteins. And the best thing about this dessert is that it is low in calories! • In a small bowl, whisk yogurt, vanilla and sugar. • In another bowl, mix all the fruits together. • Add yogurt mixture and fold together. Close and refrigerate until chill. • Transfer into serving bowls. Garnish with shredded coconut and mint leaves.